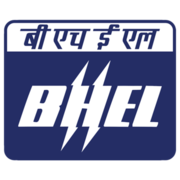 BHEL Recruitment 2019 - Apply Online for 38 FTA-Safety Officer Posts in BHEL, Tamil Nadu on Fixed Term Basis. Online Applications are invited by Bharat Heavy Electricals Limited from 22 Jan 2019 to 11 Feb 2019 for 38 vacancies. Eligible candidates may apply online at BHEL's website (direct link is given below) from 22 Jan 2019 to 11 Feb 2019. After applying online applicants need to send the hard copy of online application form along with by to Addl. General Manager(HR) BHEL, Power Sector Southern Region, 690, EVR Periyar Building, Anna Salai, Chennai-600035 The application with all relevant documents should reach on or before 18 Feb 2019.